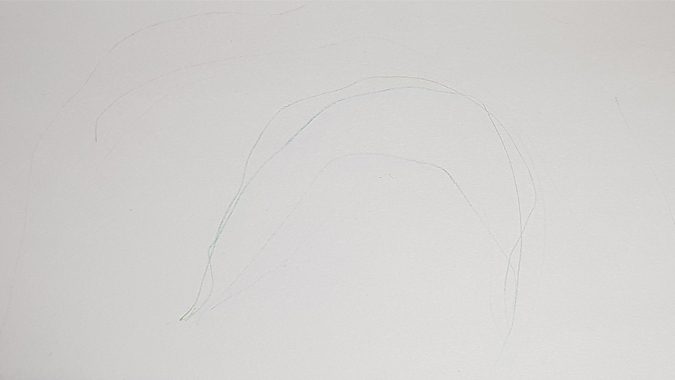 For the longest time, Jenson seemed quite content to draw by simply scribbling across a page with a single colour, not really creating any clear outlines. I tried encouraging him to draw something specific, copying me drawing shapes and lines, but he didn’t seem particularly interested. Then he came home from pre-school, proudly declaring that he’d written his own name. One of the women had written his name on a piece of paper and he was learning to write over the top of it. He was excited and I saw an opportunity to encourage him at home. 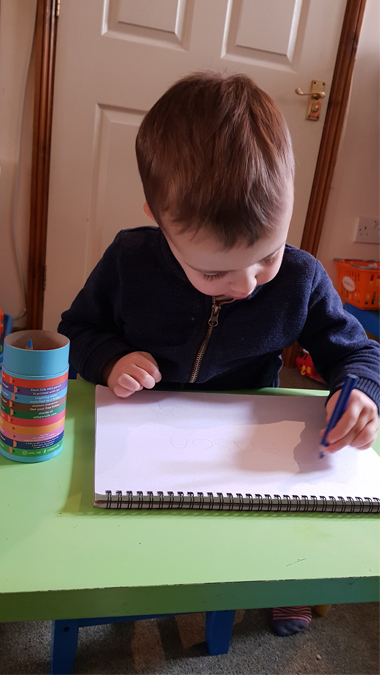 Over the last few days, I’ve been using the same trick, writing his name and various numbers in his drawing pad, and he’s been really into it – thanks, in large part, to his new Stib pencils. 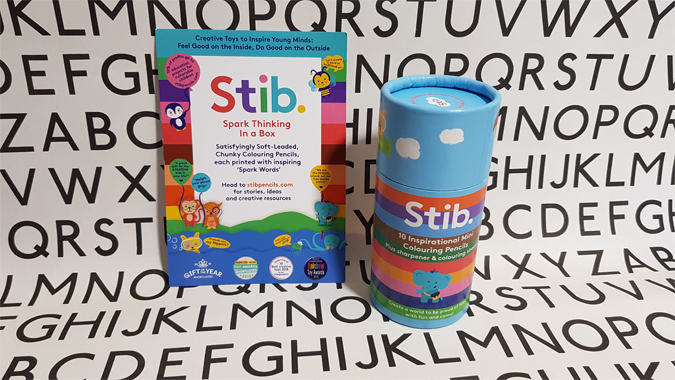 Stib stands for Spark Thinking In a Box and is the brainchild of Emily Sayer. One of this year’s Launchpad winners, Stib is a wonderful product. 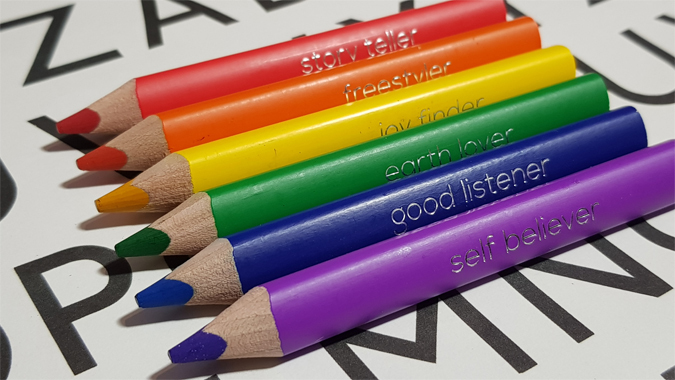 The chunky mini colouring pencils are great for little hands (also available in jumbo size) and I love the ‘Spark Words’, featuring such phrases as big thinker, peace keeper and world changer. There are some fab resources on the website too, such as tips on how to make a jar of positive affirmations, colouring templates, and a list of inspiring children from around the world. These aren’t just colouring pencils, they’re a tool to inspire children to make the world a better place. 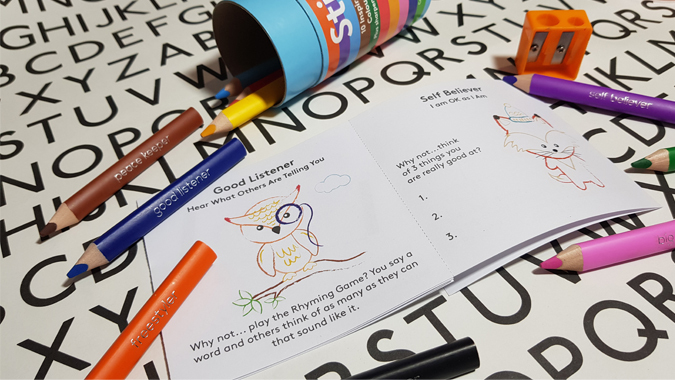 There are ten vibrant colours in each set, along with a pencil sharpener and an introduction to the The Stiblers, little animals who represent each of the words. Jenson is still very gentle with the pencils at the moment, so I’m encouraging him to press down a bit harder. His pen(cil)manship is pretty good though, and he seems to be favouring his left hand. We’ve been drawing a lot of rainbows lately, making sure we use all of the colours in the box. 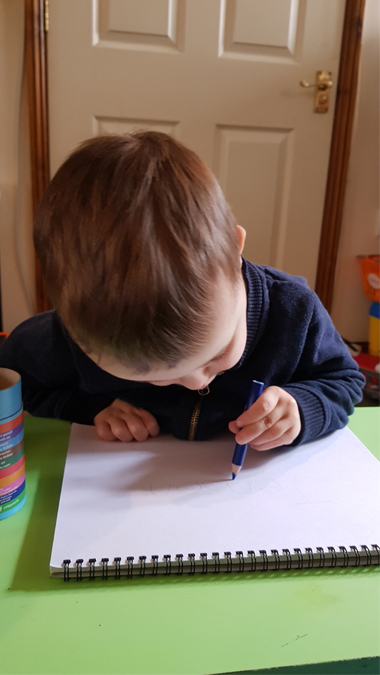 I drew one for Jenson the other day, showing him the different shades, and now it’s his favourite thing to draw (this picture doesn’t do his artistic genius justice!). These pencils really are so lovely and I’ll certainly be buying a few boxes as gifts. Plus it’s great to know that you’re making a difference with your purchase. Stib wants you to ‘feel good on the inside and do good on the outside’, so 10% of their profits go to education projects for vulnerable children in the UK and overseas. Their partner, WE.org, has already provided high quality education to over 200,00 children. So much awesome in one little box. Wonderful ideas here. I love how accessible and chunky they are too. These are very cute! Such a cool idea to inspire even the big kids amongst us! I know they are meant for kids, but honestly they looks so fun and I would probably use them in my bullet journal!